Gunnar Optiks Intercept computer glasses are some of the highest rated and most durable computer glasses on the market. The Gunnar Optiks Intercept INT-06701 video gaming glasses are specifically designed to protect your eyes when playing video games or looking at screens for extended periods of time. They prevent eye strain, stress, and dry eyes while simultaneously enhancing vision. 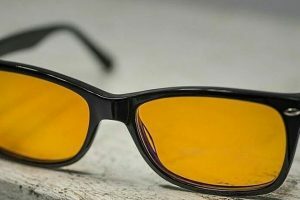 Its yellow-tinted lenses reduce the harsh blue glare of computer screens to eliminate eye strain and headaches. They also allow you to withstand longer periods in front of the computer with your vision intact. Paired with solid construction and a flexible design, the Gunnar Optiks Intercept Computer Glasses are perhaps one of the most affordable and effective choices for gaming and computer eyewear on the market today (they look good, too!). Best of all – 1 year limited warranty! One of the first things users notice about these glasses is the wide array of colors. The glasses come in fun colors and designs to suit any personality and wardrobe. 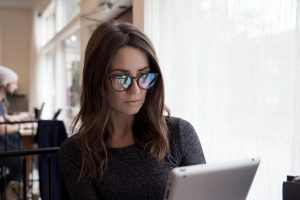 Even though they’re designed for work and most users prefer to take the glasses off when they’re not on the computer. The option to look fun and stylish is always there! 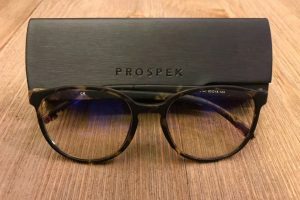 The glasses have an oversized frame that appeals to a lot of users because the frames gives the glasses a premium and very stylish feel. The rubberized texture also feels great against the skin and prevents slippage. 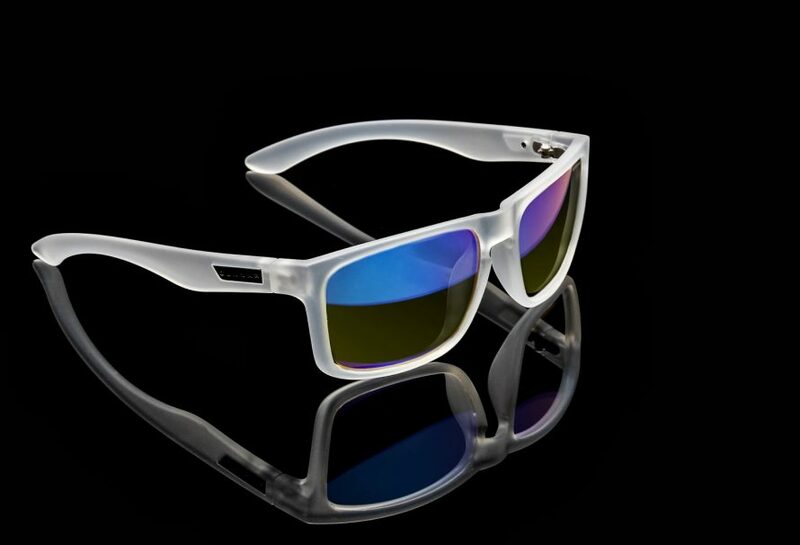 The Gunnar Optiks Intercept computer glasses are durable and the hinges are sturdy enough to withstand daily wear. The entire construction is lightweight making them great for prolonged use without becoming uncomfortable when worn for long periods of time. However, the most important feature is the yellow anti-glare coating. Simply taking the glasses off will reveal the differences between seeing your screen protected and unprotected. 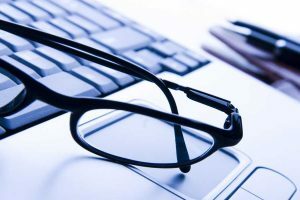 Without the glasses, computer screens look more blue and light appears harsher compared to the subdued yet effective reduction of glare when the glasses are on. These computer glasses are effective at blocking artificial blue light and making it look like it comes from a natural light source. Yes! There are actually cons to these glasses! One of the most common complaints is that the glasses tend to squeeze the sides of the head because the temples don’t flex very much. 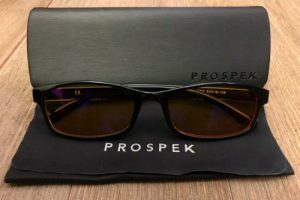 However, the glasses are designed to be comfortable for the average-sized adult head so most users won’t have a problem with discomfort in this area. The wide format lenses do not give a very flattering appearance when worn by most users. However, the panoramic lenses come in handy for high-resolution computer work and gaming. 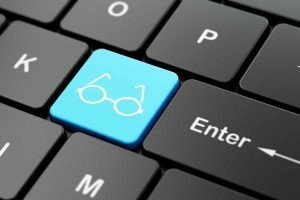 Also, the size of the lenses rarely matters to users who limit their use of the glasses to work in front of the computer. Some users also don’t appreciate the slight magnification on the lenses that comes standard with every pair. The magnification tends to cause a minor distortion which could be a big deal for people dealing with detailed computer work or those suffering from vertigo. However, this is rarely an issue for gamers or users with normal 20-20 vision, or those users doing average work online. With its stylish design, wide lenses, sturdy construction and affordable price tag, the Gunnar Optiks Intercept computer glasses are a great option for everyday computer eyewear or for gamers. 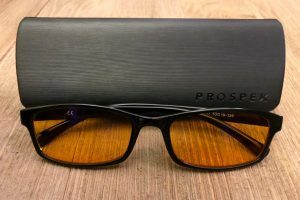 Advantages like panoramic lenses, effective anti-glare coating, and comfortable design make these computer glasses great. Most importantly, its ability to block harsh blue light effectively ensures a comfortable and productive time in front of the computer!